Many of us have made Running a special part of our lives. A commoner in case here is Biplab Mukherjee. 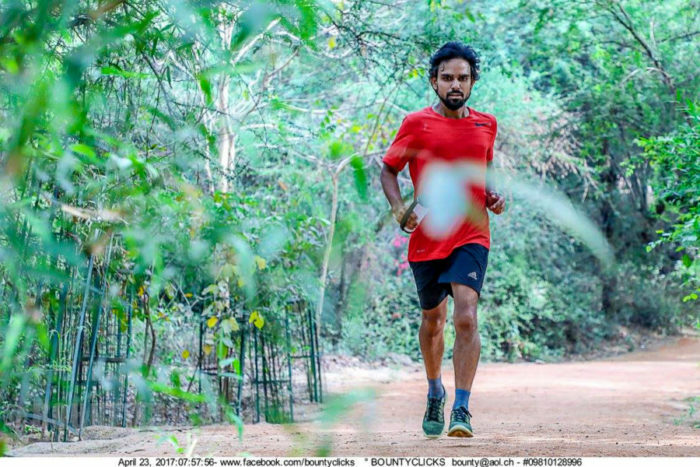 I don’t know Biplab personally, we have many common friends, he runs with the famous Delhi Runners Group (DRG), have met him only couple of times but I see him eagerly and constantly reaching out to people on Social Media for his Fundraising campaign by the name of Run For Right to Education. As a teacher myself, it’s a cause close to my heart and I feel it right to promote his fundraising initiative. In case you are looking for your generosity for the day – you might want to consider this! Here’s my quick interview with Biplap on his project. I am blessed man – surrounded by a great life partner, a lovely child, Photography (my profession) and Running (my passion). Fitness was the only thing in my mind when I picked up running 2 & a half years back but slowly and gradually it became a part of my life, giving me enough reason to be hooked to running! Beginning of the year (on 11th Jan’17) I started a personal challenge and decided to run a 10k everyday with at least a half marathon distance on one day every week for the whole year. So far I am done with 219 days with around 2800+ kms. I decided to raise funds with this year long project for someone who is doing something good for the society. Around this time I met Mr. Khurana through a senior running friend’s reference and visited his NGO by the name of Sanstha in Gurgaon. His Sanstha is providing free education to more than 400 underprivileged children ,educating them, providing them books, writing material, uniform and mid day meals under makeshift shelter/tents . Guru Nanak Sewa Sansthan is a non-profit organization and is a registered trust under relevant act of India. It touched my heart to see the work being done there and I thought of linking my running with this cause. This will be my way of helping the Sanstha as I spread my message of fitness through my runs, and hence I named this project/cause “Runforrighttoeducation”. My target is to raise 5 lacs till 10th Jan’18 ( the final date of me completing 365 days ). I started this campaign around 3 months back and so far I have been able to raise around 65k. I am using an online crowdfunding platform called ketto.org which is the largest crowdfunding community, they manages all the transactions, so if somebody wants to donate it has to be thru this portal and the money straight away goes to the sanstha at the end of the campaign. You can follow me on Strava to find out my daily runs. I believe Education is the backbone of any society and irrespective of what everybody should be educated, that should be the bare minimum for a human being. I am trying my bit towards this Right, and I would request you all to support this cause and please do spread the word in your respective circles. Where can you contribute towards the cause?